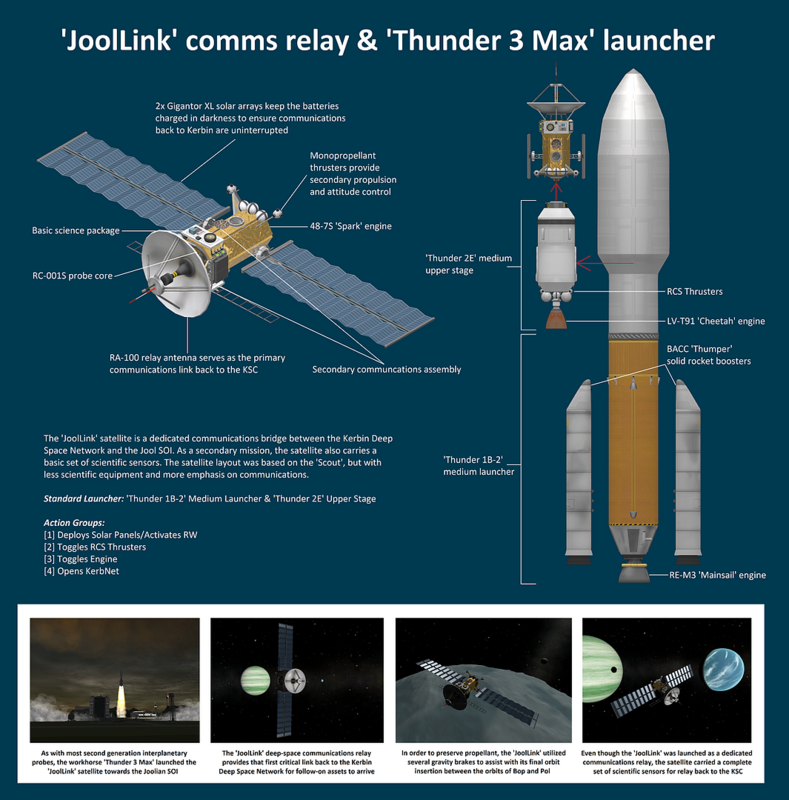 The ‘JoolLink’ satellite is a dedicated communications bridge between the Kerbin Deep Space Network and the Jool SOI. As a secondary mission, the satellite also carries a basic set of scientific sensors. The satellite layout was based on the ‘Scout’, but with less scientific equipment and more emphasis on communications.